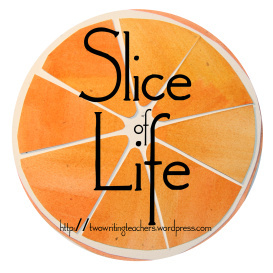 I am “slicing” with the Slice of Life Challenge for the month of March. Check out more slices here. Thank you Tara, Anna, Dana, Stacey, Betsy and Beth at Two Writing Teachers for the tremendous work you do. I had my first testing stress dream last night. It was all about topic sentences. Oh my god do they have to know that? While I have been teaching students to write with topic sentences in mind, I haven’t used those words in instruction, largely because I had much bigger things on my mind than: “Identify the topic sentence.” My dream seriously freaked me out. First thing I did when I got up was reach for my standards, I mean my phone. 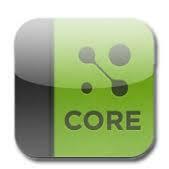 I have this very cool app, Core by MasteryConnect. You can search the standards by grade level and strand, which I did. Reading standard by standard, I found nothing about topic sentences. But I was still concerned. What if I missed something? That’s when I noticed the search bar. I typed in “topic sentence.” No results. Just to double check that I was doing what I thought I was doing, I searched for something I knew had to be there, “Central Idea.” And boy was it ever. Central Idea is everywhere. But you knew that right? Well I did, sort of. The results for central idea were instructive. It made the spiraling of the standards so clear by showing exactly where the standard starts and how it grows through the content and grade levels, and all with a tap on the search button. What a cool app, and it’s free! Fascinated, I searched for other key terms. “Summarize” is throughout the reading standards, and shows up in 5th grade writing attached to paraphrasing and then in 6th grade math and again in High School math. I had to look up “paraphrase” next. It comes up for the first time as a speaking and listening standard in 4th grade, that makes sense. Paraphrasing starts as a writing standard in 5th grade for researching and note taking and continues through 8th grade. Again it makes sense. “Quote” the cousin to paraphrase comes up for the first time in 5th and then continues through 8th grade. Just for kicks, I’m planning to look for more key words in my grade level standards, to see where they start and where they go. It is so much easier than flipping through a book or cutting up those tiny standards and glueing them on paper to see how it all connects. Other techie options are available. You can sign up on Core’s site to find teachers by subject matter, grade level and school district. Yes, another platform connect on. You can even add the chrome app to your browser. Frankly, as long as my phone has a charge I’m good with the phone app for now. Here’s to the upside of stress dreams. I think those that rolled out the Core could have done a better job explaining it. There are assessment nightmares going on all over the country because the goal of the core does not fit like a glove the the assessments that are being taken. That being said, glad you turned your stress into something positive. I have that link and use it frequently. Although we don’t follow the core ‘exactly’, we do access it sometimes. Glad to know about the app! And happy your dream was just a dream! Just bought the app, and that will be what I do with my “free time” today! Thanks! I also have that app on my phone and ipad. I have that app on my iPad, but lucky for us Indiana put Core on hold and I have not used it much. Isn’t it sad when are so entangled in our tests, that we start dreaming about them. Good luck on your tests whenever they are…in real life! Now that is seriously nerdy, and seriously helpful. 🙂 Thanks! Yep…just got the app….you are forever my hero on the internet! I have this app, but never thought to use it this way. Thanks for the tip!